The largest grassroots fundraiser and food drive in the state, the Minnesota FoodShare March Campaign brings together various community organizations, businesses, and faith communities to help stock nearly 300 food shelves statewide, including Channel One’s. Channel One Regional Food Bank invites you to participate in the Minnesota FoodShare March Campaign by joining your co-workers, friends and neighbors in collecting FUNDS and FOOD February 25th – April 7th. We challenge you to help us eliminate hunger! Your efforts will help the 12,550 food insecure people living in Olmsted County and help Channel One feed the nearly 3,500 households that use our Supplemental Food Shelf every month. To help meet the rising need for food and assistance, our goal this year is to raise $200,000 and 260,000 pounds of food. Organize and host a food drive. Sponsor “Denim Day(s)” at your business, and offer employees the opportunity to wear jeans for the day in exchange for a donation. Collect canned goods or money to attend school functions or sporting events. Offer an incentive at your business to customers who bring in food. Feel free to build on any of these ideas or come up with some of your own, and please don’t hesitate to share. 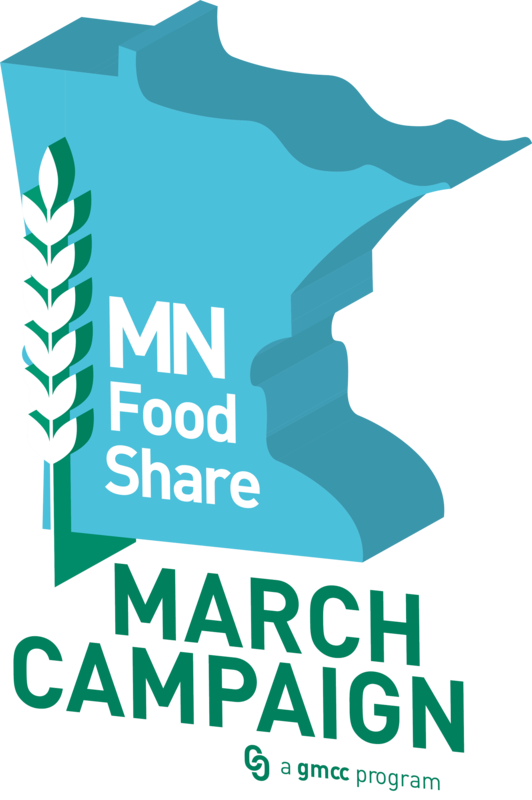 Please use the resources below to help you host a successful campaign or visit the Minnesota FoodShare March Campaign Website for more information. All food and cash donations that Channel One receives during the month stay in our local community to help feed people in need. Every dollar and pound is important because the more funds and food that Channel One collects, the greater our allocation from the Minnesota Food Share statewide incentive fund. Minnesota FoodShare has a unique focus of supporting food shelves throughout the state in their efforts to feed the hungry and has coordinated the March Campaign for more than 30 years, and we are proud to be a part of it with you!